Regardless whether you are doing it yourself or working with a company, make sure to keep a close eye on your website metrics. Although it may seem overwhelming to sift through columns of data, there are core metrics that you should always pay close attention. How many visitors landed on my law blog or web page? How long did visitors stay on my website or blog post? Which pages did visitors stay on the longest or visit the most often? 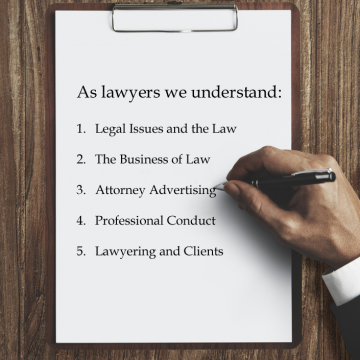 Depending on the law firm or marketing strategy there may be additional pages, such as lawyer profiles, law office locations, specific practice area pages, and other relevant sections. Regardless, the law blog, even by a different name, is the area that is updated the most when properly maintained. A law blog is where most of the onsite SEO juice is created as each blog post is treated as a separate new page for search engine indexing purposes. It is also the area of your website that should provide visitors with the most valuable, relevant information. Your law blog should not be a direct pitch of your actual legal services, rather a presentation of your worth. Visitors should spend an ample amount of time on your blog as it showcases your legal knowledge, litigation successes, industry recognitions, press releases, etc., and be impressed enough to reach out by your law firm’s capabilities. Assuming it is your primary website, your flagstaff site, and not a collateral website part of a more advanced SEO strategy, the blog is where a majority of your ongoing onsite content efforts take place. The proper approach when looking at how much traffic visited your blog or website during a certain time frame (i.e. past month, last year vs. this year, seasonal) is to break the visitors metric apart into two types of visits. 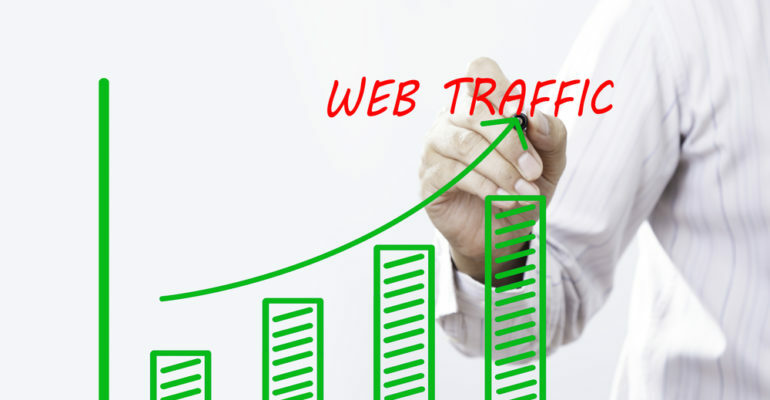 The amounts of visits is the actual amount of visits per page, per post, or total visits your website receives. It tallies the amount of visits irrelevant of any other variables, even if the bounce rate was only a second in duration, which thankfully does not cost a click through AdWords. On the other hand, unique visits is counted only once per person (if that individual visited within a 30-day period) regardless of how many times they may have returned. For example, if potential client A visits your website once and potential client B visits five times, you would have a total of six visits, but only two unique visitors. As you learn how big of an audience you have, you will continue the categorical breakdown this time by demographic information, such as location (i.e. cities, countries), gender, and age range of your visitors. By starting with visitors and analyzing deeper, you being to understand who is reading your blog and web content. There are even precise strategies to figure out the effects of offline content, but that is not for this post. Ultimately, you want to focus on analyzing repeat visitors to determine if people are coming back to your blog for a particular post or legal topic. Once you identify useful content that brings visitors back to your blog, the creative brainstorming begins on ways to create similar compelling content. For example, infographics, videos, case studies, etc. Why are certain pages visited more than others? This is particularly important when it comes to your law blog. Identify what your readers are most interested in reading and expand on those topics with different types of content or sub topics that can be further broken down for more useful information. Can you create a thread of blog posts around certain legal questions, concerns, or issues? Should this content be distributed offsite? And so on. Bounce rate tells you how quickly visitors are leaving a specific web page or blog post. In general, the goal is to have a low bounce rate, which indicates visitors stayed on your site for a longer period of time. However, as with all metrics, you should never take a metric strictly on its face value. There are always other variables to consider! View the bounce rate of a particular page, post, or section rather than the entire site or main blog page. Use other indicators to make your decision on how to treat the bounce rate, such as the purpose of that particular post or page. If it has a high bounce rate, but is straightforward or designed for a quick read, then maybe a high bounce rate shows the success of that content rather than its failure. To be sure, set up tracking, such as goal tracking in Google Analytics, and A/B test different versions of the post or page. It may be the user experience, not the content that makes a difference. A good way to test user experience is through calls to action or change in content layout. At the end of the day, those seemingly infinite stream of numbers are your golden ticket to figuring out what to write about, how to structure your online marketing campaigns, discovering long tail keyword opportunities, creating more effective ad copy, and much more. Begin your web data analysis with visitors, most visited pages, and bounce rate, then get more granular as you gain confidence in your analytical abilities. If you would like to have us conduct an online audit of your law firm’s website and online marketing accounts, let us know and we can get started immediately. Once we have analyzed your inbound metrics, we can have a meeting of the minds on content strategy and content writing efforts. 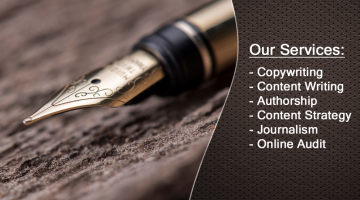 It would be our pleasure to improve the success of your legal content in any way possible.